Accepta 1210 is a food-grade quality aqueous solution of 10% hydrochloric acid. Accepta 1210 is a versatile hydrochloric acid product that is suitable for use across a wide range of commercial and industrial applications. 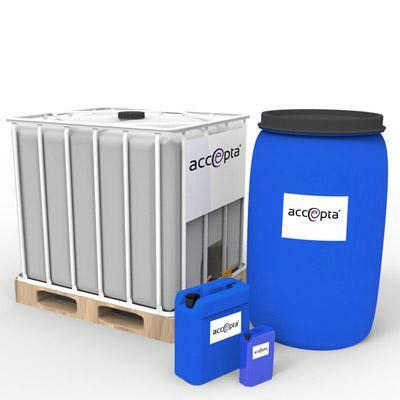 It is ideal for use in conjunction with Accepta 1108 (Sodium Chlorite) in a conventional chlorine dioxide generator. Accepta 1210 is available in a convenient liquid form for ease of application. Dose Accepta 1210 to suit the individual application. For further technical assistance concerning Accepta 1210 please contact Accepta technical support.